(And not just the ADOS)…. Some days reading outside records is bad for my blood pressure. Today was one of them. My patient — let’s call him Brian (actually, a composite patient based on several individual case files) – was brought to me by his parents for evaluation of disruptive behavior at school. As a toddler Brian’s speech was delayed, and once he did begin speaking he had verbally repetitious behavior, asking the same question over and over, or reciting stock phrases from movies. Presently, he is able to converse better with adults than peers. He frequently misunderstands or misperceives verbal and nonverbal cues. He is emotionally labile, and “Goes from zero to 60 in the blink of an eye.” He has no true friends. Starting at 12 months, and continuing thereafter, he has manifested an intense interest a succession of things: initially “obsessed” with Buzz Lightyear, followed by an interest in the states of the Union, wanting to know his parents’ favorite state, then moving on to the solar system (“he could tell you everything about Jupiter”). His obsessive interests have since waned, although he remains rigid and perfectionistic. Brian attends 1st grade in a typical setting. His teacher wrote: Brian is a kind boy… Brian is very much a rule-follower… very much wants to do everything perfectly… ” The Pupil Services Team was consulted because of recurrent task refusals and minor altercations with peers. Testing revealed average WISC-IV and academic achievement scores. Behavioral rating scales completed by the teacher noted “very elevated” scores in the areas of Hyperactivity/Impulsivity, Aggression, and Peer Relations. The ADOS 2 was administered, and Brian did not meet threshold criteria for ASD. The school psychologist stated that the ADOS “ruled out ASD,” and an “educational diagnosis” of ADHD was given. This would be laughable if it weren’t so damaging. The ADOS (Autism Diagnostic Observation Schedule) is “a semi structured assessment of social interaction, communication, play, and imaginative use of materials for individuals who may have autism or other autism spectrum disorder (ASD)…the goal of the ADOS is to provide a hierarchy of “presses” (social structures) that elicit behaviors in standardized contexts relevant to ASD.” http://bestpracticeautism.blogspot.com/2012/01/best-practice-review-autism-diagnostic.html. 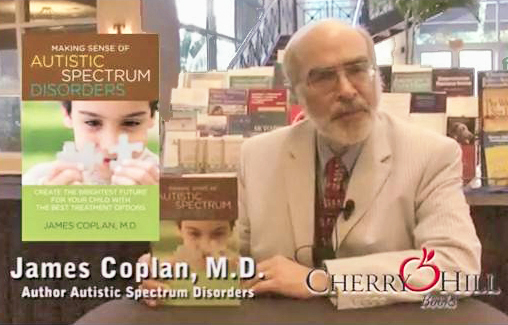 Clinical experience working with children with ASD is “recommended,” but not mandatory. A positive result on the ADOS has become the de facto ticket of admission into academic research on ASD: Researchers from all parts of the country want to be sure that they are looking at comparable samples of children; a positive result on the ADOS assures some level of comparability. Researchers don’t mind if the ADOS misses a few kids, because their job is research, not clinical care. 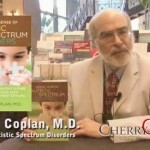 Care providers, however, have a different set of obligations – to find and serve all children with ASD. What’s the best tool for diagnosis for a general pediatrician? I see a lot of patients that probably have ASD but have a difficult time getting a definitive diagnosis due to lack of trained diagnosticians in our area. Can a pediatrician administer ADOS-2 and also use their clinical judgment to make a diagnosis?